This post brought to you by FloraCraft. When I received my Make It: Fun Design Team Box this month, I was left scratching my head. 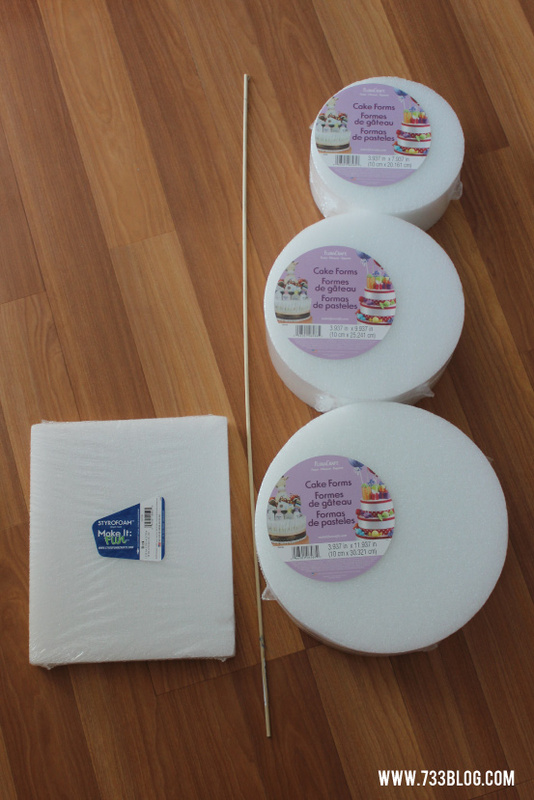 I received some cake forms and decorative mesh. The only thing I kept coming up with was a) a cake (how uninspired!) 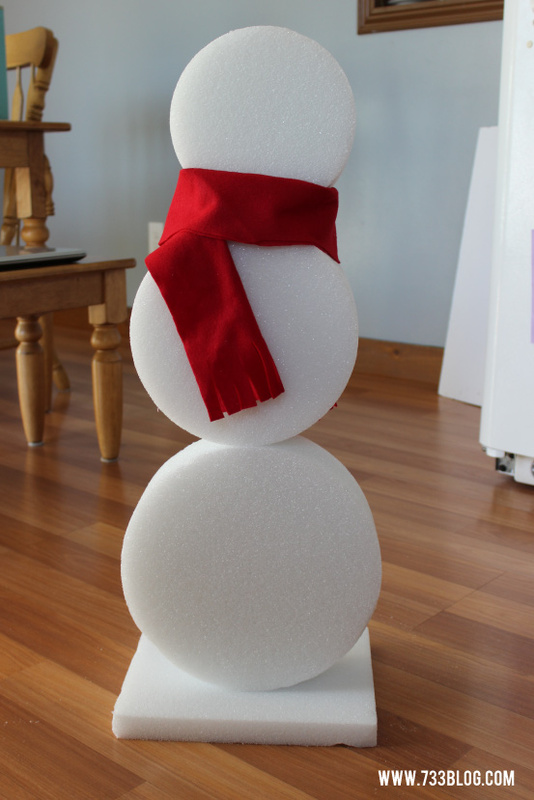 b) a cake pop holder… but I didn’t need one and c) a snowman. I turned to social media and received a TON of ideas. They were all great and I was considering a few. But then I was driving to work and it hit me! 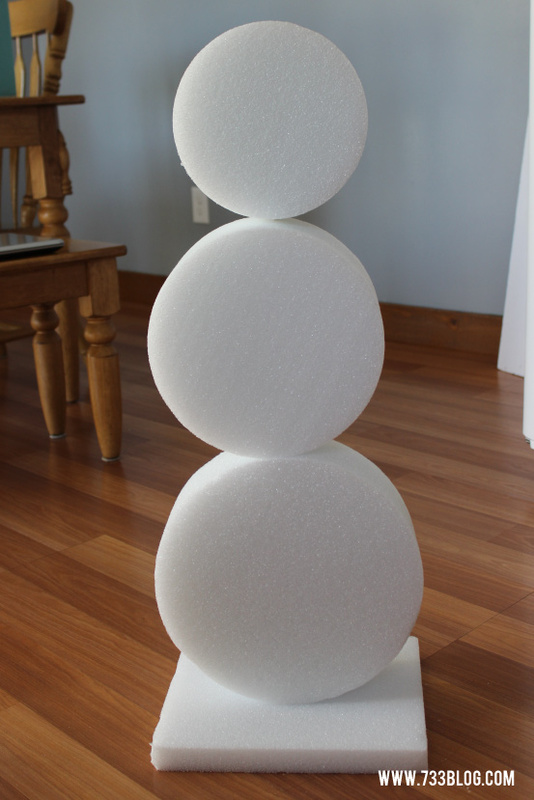 A No-Snow Snowman Kit! 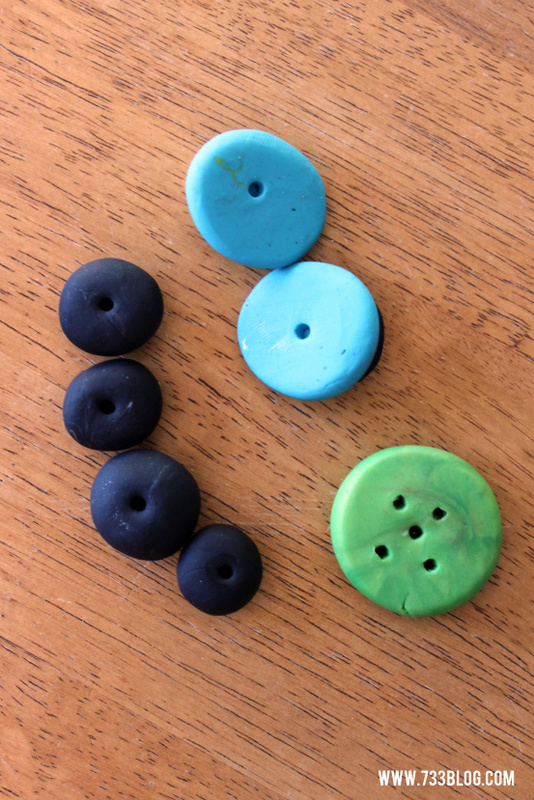 The first step is to create the pieces for your snowman – my Kid Craft Contributor Twin Dragonfly Designs shared a Snowman Making Kit that her and her sons made out of clay last year and I immediately knew it would be perfect for this! The only change I made was to use bamboo skewers instead of dowels for the portion that sticks into the snowman. 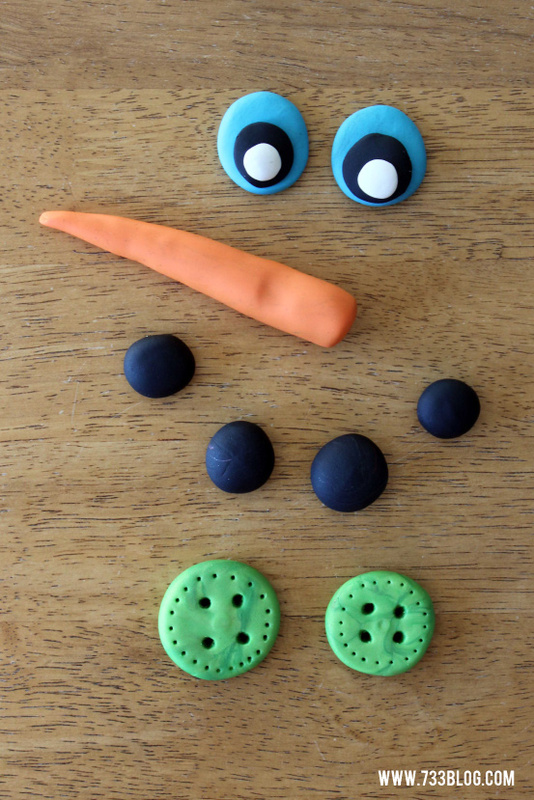 While you’re waiting for your pieces to bake, let’s build a snowman! Lay the rectangular foam base on the floor flat. 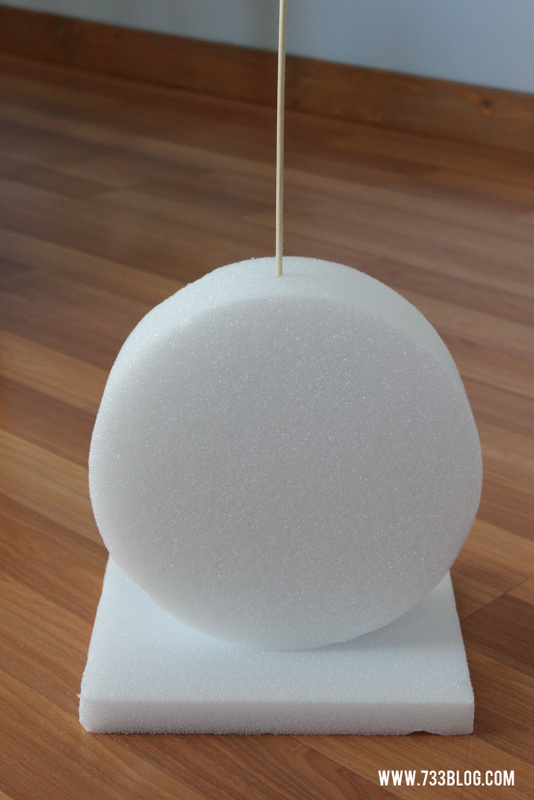 Place the 3′ dowel into the center of the foam base. Now insert that through your biggest cake form and push it all the way down. I used hot glue to secure the cake form to the foam base. Now insert the dowel through your middle form and push it all the way down. Again securing with hot glue. Before you insert the dowel into your smallest form, measure the dowel and cut it down so that it doesn’t push through the form all the way (unless you are adding a top hat and then you can skip this step)! 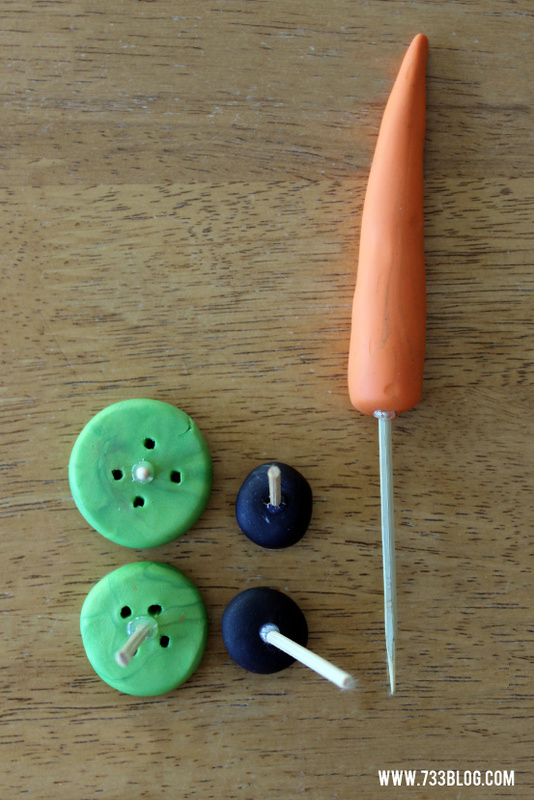 Insert the dowel into the smallest form and push it all the way down, secure with hot glue. 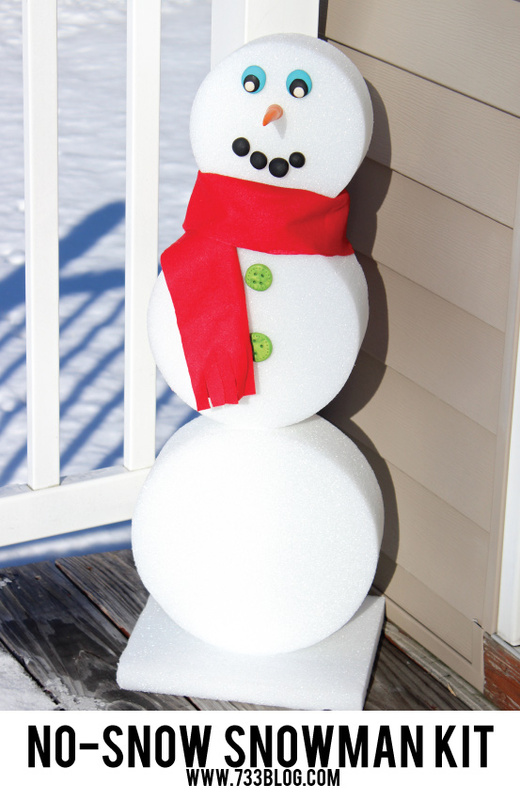 Add a fleece or felt scarf around your snowman’s neck. Now that the snowman is built, take your pieces out of the oven and allow to cool. Once cool, glue the bamboo skewers onto the backs and insert into your snowman! Isn’t he adorable? 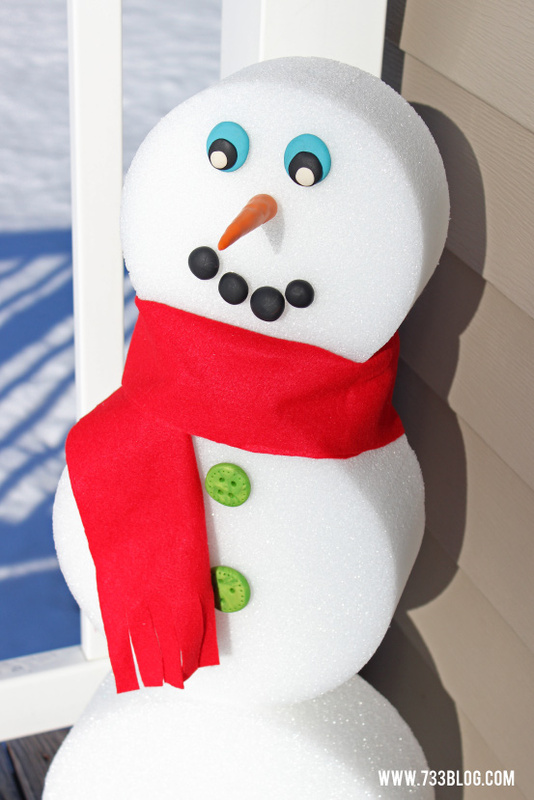 He looks cute inside or out and is a perfect craft for winter fun! For more foam craft ideas visit the Make It: Fun site and follow FloraCraft on Pinterest and Facebook. Your snowman makes me smile, Kim. He’s adorable!